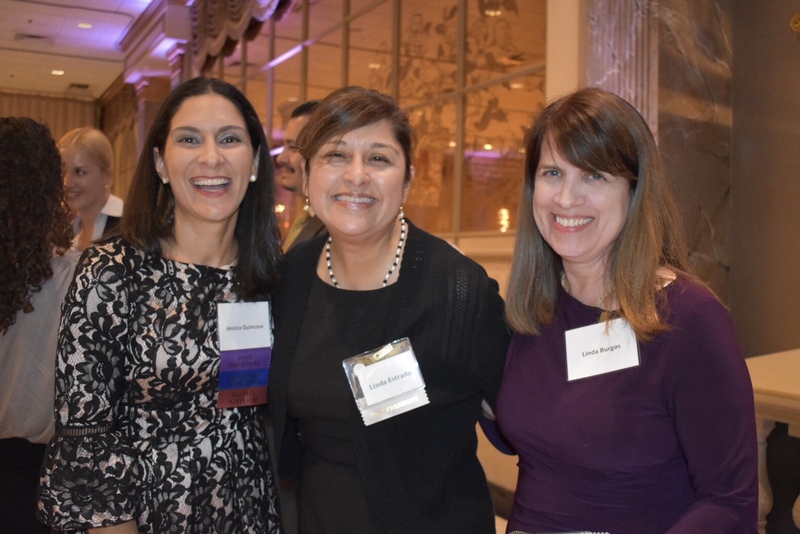 A veritable who’s-who of the Maryland legal community joined the Maryland Hispanic Bar Association (MHBA) in celebrating its silver anniversary at the Association’s 25th Annual Gala, held September 27, 2018, at Martin’s Crosswinds in Greenbelt, MD. Expounding a recurring theme of the evening – immigration – MSBA Executive Director and keynote speaker Victor Velazquez discussed his own professional and personal journeys, from childhood in Vieques, PR, and the mainland United States through his battle with cancer and, finally, joining the state bar executive staff in early 2017. Attendees included, among others, MHBA founder Mayda Colon Tsaknis; Jose Bahamonde-Gonzalez, Associate Dean for Professional Education at the University of Maryland Francis King Carey School of Law; MSBA President-Elect Dana Williams; Chief Judge Mary Ellen Barbera, Court of Appeals of Maryland; Chief Judge Patrick Woodward, Court of Special Appeals of Maryland; Maryland District Court Chief Judge John Morrissey; Bar Counsel Lydia Lawless; Maryland Attorney General Brian Frosh; and Montgomery County State’s Attorney John McCarthy.